When it came to Haiti, France was first a brutal colonizer, and then a usurious bully. 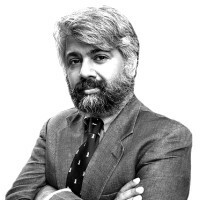 Tunku Varadarajan on why it’s time for reparations. As Haitians lurch destitute in the rubble, and as governments, churches, and NGOs do the best they can to bring succor to Haiti's hell, a vivid solution to the country's needs presents itself, one so obvious and irrefutable—so resonantly just—that it must be advocated with the greatest of energy: France must repay its colonialist debt to Haiti by paying for much of the island country’s reconstruction. Haiti's chronic impoverishment began at its birth in 1804, when, having overthrown its French rulers in a bloody, 12-year slave revolt, the newborn nation was subjected to crippling blockades and embargoes. This economic strangulation continued until 1825, when France offered to lift embargoes and recognize the Haitian Republic if the latter would pay restitution to France—for loss of property in Haiti, including slaves—of 150 million gold francs. The sum, about five times Haiti's export revenue for 1825, was brutal, but Haiti had no choice: Pay up or perish over many more years of economic embargo, not to mention face French threats of invasion and reconquest. To pay, Haiti borrowed money at usurious rates from France, and did not finish paying off its debt until 1947, by which time its fate as the Western Hemisphere's poorest country had been well and truly sealed. In this era of multibillion-dollar bailouts of private banking institutions, $22 billion should scarcely raise a Gallic eyebrow. But to Haiti, the sum would be a godsend. • Plus: Mark Leon Goldberg on Haiti’s recent history, and why the country deserves our support. This last act of renunciation weakens Haiti's legal case against France, notwithstanding the fact that the treaty under which France gouged 150 million gold francs from Haiti was clearly unconscionable and executed under duress. But this story is not one of law and legality alone, nor even one of wealth and poverty. (France's GDP is $2.85 trillion, while Haiti's is a mere $6.95 billion.) It is, rather, one of historical justice and political morality: No one can dispute that an extortionate and bullying treaty, concluded at a time when France was an imperial hyper-puissance and Haiti a friendless fledgling, is an ugly stain on France's national conscience. The money involved is not a sum that will give sleepless nights to Christine Lagarde (France's finance minister) or Bernard Kouchner (its foreign minister) or President Nicolas Sarkozy. In this era of multibillion-dollar bailouts of private banking institutions, $22 billion should scarcely raise a Gallic eyebrow. But to Haiti, the sum would be a godsend. More than that, however, this is money that is Haiti's own. As Haitians lie prostrate, buried under the rubble of their nation, France must do the moral thing, the just thing, the civilized thing: France must write Haiti a reparations check for $22 billion.